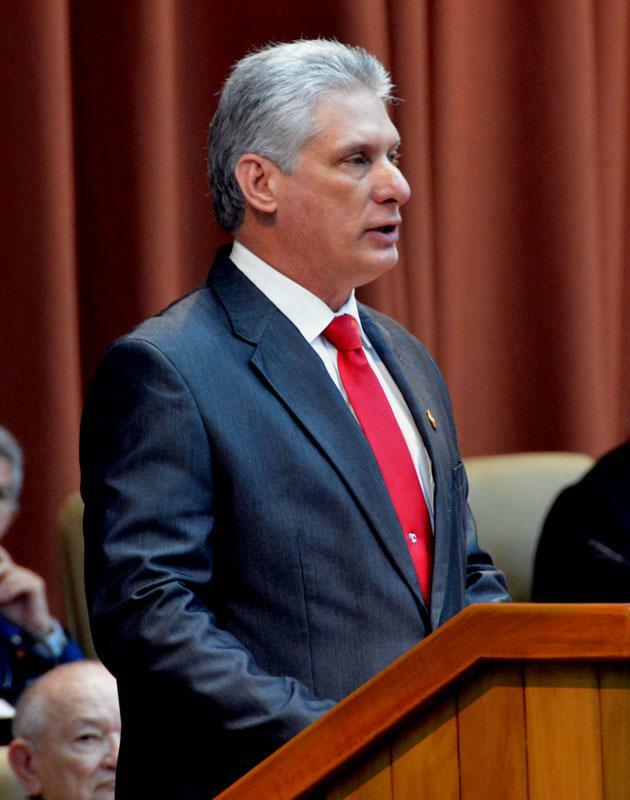 A prior post reported the April 19 election of Miguel Díaz-Canel as the new President of Cuba. U.S. reactions to that election have been unanimous: at least initially there probably will be no major changes in Cuba’s international and domestic policies, and many also say there was not a democratic transition of power. Here is a sampling of these U.S. reactions. After noting his concurrence in not expecting major changes in Cuba, Christopher Sabatini, a lecturer at Columbia University’s School of International and Public Affairs and executive director of Global Americans, urges changes in U.S. policies regarding the island. He says, “While it is not in America’s interest to promote investment to prop up an anachronistic, repressive regime, it is also not in its interest to stand by while a neighbor’s fragile economy crumbles under the weight of its failed policies. In the worst of cases, an economic implosion would produce social unrest and waves of migrants to American shores.” To that end, he suggests, “Multilateral banks like the International Monetary Fund and the World Bank, at Washington’s urging, could be given special allowances to offer economic assistance to the next Cuban government while providing international cover for American-led efforts. Any aid should come with a strong message from Washington and the banks that the Cuban government must refrain from repression in response to protests.” Sabatini also recommends that the U.S. restore the full staffing of the U.S. Embassy in Havana. Engage Cuba, a U.S. coalition of businesses and others that supports U.S.-Cuba normalization, issued two statements about this change. As apparent from many previous posts, this blog consistently has called for U.S.-Cuba normalization, rescinding the U.S. embargo (blockade) of Cuba, restoring the full staffing of our Havana Embassy and of Cuba’s embassy in Washington, D.C., rescinding the recent U.S. warning about U.S. citizens traveling to the island, ceasing U.S. efforts that seek to change Cuba’s regime, continuing the bilateral meetings that address issues of common concern and engaging in efforts to resolve other long-pending issues (U.S. claims for Cuban compensation for expropriation of property owned by American interests, Cuban claims for damages from the embargo and other actions and disputes about Cuba’s lease of Guantanamo Bay to the U.S.). Such changes in U.S. policies would do a lot to encourage changes in Cuba’s policies and improve the lot of the Cuban people. It must also be said that U.S. does not have standing to criticize Cuba’s not having a national popular election to choose its president. How can anyone forget that the U.S. still uses an antiquated indirect way (the Electoral College) to choose its president and vice president while some state voting laws have been designed to discourage voting by African-Americans. Assoc. Press, The Latest: Pence tweets response to Cuba’s Raul Castro, Wash. Post (April 19, 2018). The White House rules out changes in its policy towards Cuba, Diario de Cuba (April 19, 2018). U.S. State Dep’t, Department Press Briefing-April 17, 2018. 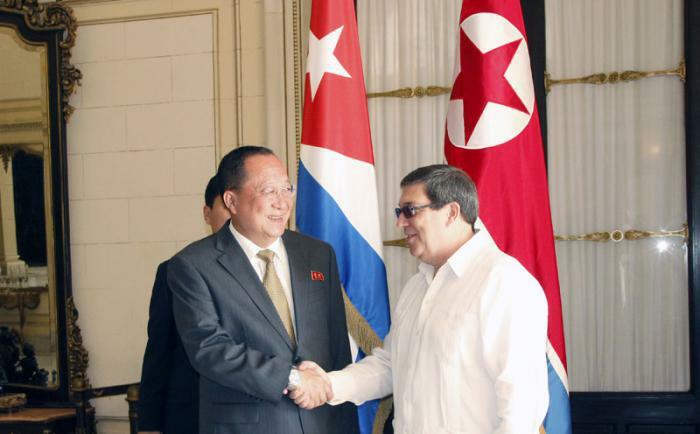 Editorial, A New Cuba After the Castros? Not Quite, N.Y. Times (April 20, 2018). Sabatini, We Shouldn’t Ignore Cuba, N.Y. Times (April 17, 2018). Press Release, Engage Cuba Statement on Selection of New Cuban President (April 19, 2018); Press Release, Engage Cuba Statement on Cuba’s Presidential Transition (April 19, 2018). Press Release, Rubio Statement on Sham Cuban “Elections,” (April 18, 2018). Ahmed, Cubans Doubt a Change at the Top Will Bring Change at the Bottom, N.Y. Times (April 21, 2018). 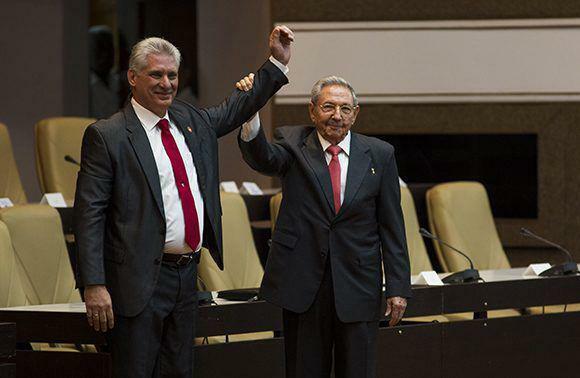 On April 19, Miguel Diaz-Canel officially became Cuba’s new President of the Councils of State and Ministers. Born after the Revolution in 1960, he grew up in the central province of Villa Clara, about three hours from Havana, the son of a schoolteacher and a factory worker. He studied electrical engineering at the Central University of Las Villas, where he was active in political life. After service in the Cuban military and a civilian mission to Nicaragua, he started work for the Communist Party of Cuba in 1993, and has advanced within the Party and the government to the position of First Vice President of the Councils of State and Ministers before his inauguration as President. Below is a photograph of Díaz-Canel giving his speech. He also added that if anyone wanted to see Cuba in all its composition, it would be enough to look to its National Assembly, with women occupying decisive positions in the state and the government. However, he warned, it does not matter how much we resemble the country we are, if the commitment to the present and the future of Cuba is lacking. The raison d’être of the Councils of State and Ministers is the permanent link with the population. Díaz-Canel pointed out that during the closing of the last Party Congress [in 2016], Army General Raúl Castro Ruz made it clear that his generation would hand over the flags of the Revolution and Socialism to the younger generations. This emphasizes the importance of the crucial mandate given by the people to this legislature, and as such its work in all areas of the nation’s life must be perfected. He then stressed that the men and women who forged the revolution “give us the keys to a new fraternity that transforms us into compañeros and compañeras,” and highlighted, as another inherited achievement, the unity that has become indestructible within the Cuban Party, that was not born from the fragmentation of others, but from those who intended to build a better country. Regarding the revolutionary and political work of the Army General, he highlighted his legacy of resistance and in the search for the continued advancement of the nation. “He put his sense of duty ahead of human pain,” he said in reference to the loss of Comandante en Jefe Fidel Castro on November 25, 2016. Likewise, he highlighted Raúl’s grandeur as a statesman, forming a national consensus, and the manner in which he led the implementation process of the country’s social and economic guidelines. He also highlighted how he had made the return of the Five Cuban Heroes [in December 2014] a reality, so longed-for by Fidel. Raúl has marked Cuba’s international relations with his own spirit: he directed diplomatic relations with the United States; he led the rotating presidency of CELAC; Cuba’s hosting of the Colombian peace talks; and he has been present in all regional and hemispheric summits, always defending Our America. That is the Raúl we know, Díaz-Canel stressed. The new Cuban President also recalled how the Army General, still very young, participated in the Granma expedition, undertook the struggle in the Sierra Maestra, was promoted to Comandante, and developed government experiences that would be applied in the country after the revolutionary triumph. Immediately after the inaugural address, Raúl Castro, the former President and still the General Secretary of the Communist Party of Cuba, closed the second plenary session of the National Assembly of Popular Power [Cuba’s national legislature], with the following remarks: Below is a photograph of Castro during his speech. He pointed out that Díaz-Canel, during the [most acute phase of the] Special Period “was a member of the Provincial Party Committee in Villa Clara, where he spent nine years. Then he spent six years in Holguín. “He was born in Villa Clara, where he was quiet, because it was a territory he knew well; and it was after that that he was sent to one of the great provinces of the east, Holguin, as we did with more than a dozen young people, most of whom came to the Political Bureau, but who failed to be promoted. He was the only survivor. Castro also stressed that Díaz-Canel had been a member of the Central Committee since 1991 and was promoted to the Political Bureau 15 years ago. He fulfilled a mission in Nicaragua and graduated from the National Defense College. In 2009 he was appointed Minister of Education. Five years ago he was elected First Vice President of the Councils of State and Ministers; and since then “a group of members of the Political Bureau had the feeling that we had hit the nail on the head,” referring to Díaz’s ability to assume the presidency. He was responsible in the ideological sphere of the Central Committee of the Party. Comrade Díaz-Canel over the years he has demonstrated work capacity, ideological solidity and commitment to the Revolution. The National Assembly of Popular Power has 42% new members and a female representation of 48.4%. Castro emphasized that women, young people and people of color occupy decision-making positions in the life of the nation. “It is up to the Party, the State and the Government to fulfill and enforce, with due intentionality, the promotion of young people, women and mestizos, to posts that guarantee the renewal of the revolution. He welcomed the ratification of the presidency of the National Assembly, and the proposal of Diaz-Canel, as allowed by the Constitution, so that the Council of Ministers will be made known at the next session of the Assembly, which will take place in July, because that it will allow for a prudent time for the movements of paintings to be made. Regarding the new generations, he warned that one of the permanent bets of the enemy is to penetrate, confuse and alienate youth from the ideals of the work and the revolutionary culture leading them instead towards disengagement towards ethics, solidarity and the sense of duty. Castro said that in the next constitution there will be no changes in the strategic objective of the Party, which our people will support as in 1976, when Cubans voted in favor of the current constitution with 98% support. He pointed out that in the Plenary Session of the Central Committee held in March of this year, the economic and social status of the nation was analyzed. The new constitution has lagged behind us, he clarified, because the country’s main problems are not resolved, because the participation of the organisms from the base was not achieved for the adequate implementation of the adopted policies. We never had any illusions that it would be a short and easy process, because its dimensions reached all sectors of society, and we had to overcome egalitarianism and its negative consequences in the national economy, he added. With regard to foreign debt, he stressed that a renegotiation has been carried out, which has helped to free the new generations of a sword of Damocles and the consequent restitution of the credit prestige of the country. The Army General congratulated the Minister of Economy, Ricardo Cabrisas, on his performance in that process. He also made a call to save resources, claiming that we usually ask for too much, so we have to plan better. “Defend unity, resist and resist, that is the duty of revolutionaries,” he said. “The members of civil society defended the voice of Cuba and the peoples of America with vigor. I take this opportunity to congratulate all the members of the Cuban delegation that participated in this event, “he said. The Army General stressed Cuba’s commitment to ALBA because we are the world’s region of greatest inequality in the distribution of wealth, and the gap between rich and poor is huge and growing despite the efforts made in the past decades, when Progressive governments pushed for policies to mitigate this evil, he said. “In just 11 days our people will march together united by our streets and squares commemorating the International Labor Day and showing the majority support of the Cubans to the Party and its Revolution. As anticipated, these comments by Díaz-Canel and Castro demonstrate a collective intention to continue Cuba’s current direction, domestically and internationally. Their mutual admiration is shown in the photograph below. In another post we will look at U.S. reaction to the change in Cuba leadership. Some of that reaction was recorded before the actual inaugural of Díaz-Canel. Ahmed & Robles, Who Is Miguel Díaz-Canel, Cuba’s New President? N.Y. Times (April 19, 2018); Cordoba, After 59 Years, a Castro Is No Longer Official Leader of Cuba, W.S.J. (April 19, 2018). Miguel Díaz-Canel: I assume this responsibility with the conviction that all the revolutionaries will be faithful to Fidel and Raúl (+Video), Granma (April 19, 2018). Raúl Castro: The Communist Party will continue to support the new President, Granma (April 19, 2018). Upcoming Cuba Restrictions on Free Enterprise? The draft apparently was recently sent to provincial and national organs of administration for consultation. Its leak is suspected to gauge public opinion and could lead to revisions. In addition, the new proposed regulations probably would prompt some younger Cubans to lose hope of change in their country and prompt their desire to emigrate, thereby exacerbating Cuba’s problems associated with an aging and declining population. Finally for the very reasons that Raúl Castro advanced at the recent Party Congress, the proposed regulations could adversely affect Cuba’s employment opportunities and gross national product. See posts listed in the “Cuban Economy” section of List of Posts to dwkcommentaries—Topical: CUBA. 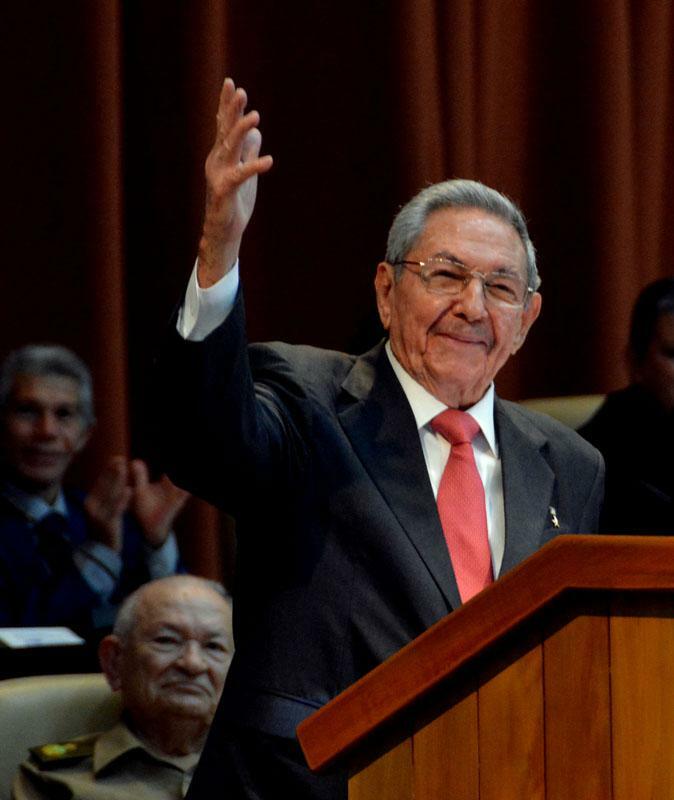 Raúl Castro Discusses Socio-Economic Issues in Report to Seventh Congress of the Communist Party of Cuba, dwkcommentaries.com (April 19, 2016). Reuters, Exclusive—Cuba Draft Rules Propose Curtailing Fledgling Private Sector, N.Y. Times (Feb. 22, 2018). Study: The obstacles of the regime to the private sector generate a flight of millions abroad, Diario de Cuba (Feb. 20, 2018). Posted on February 23, 2018 Categories Economics, Other countries, PoliticsTags 2016 Congress of the Communist Party of Cuba, Cuan population, Cuba, Cuba's Council of Ministers, Cuban emigration, Cuban private sector, Havana Consulting Group, Marcia Fernández Andreu, Raul Castro, Reuters1 Comment on Upcoming Cuba Restrictions on Free Enterprise? As noted in previous posts, President Donald Trump in only one year in office has expressed hostility towards Cuba in various ways. Those actions have created opportunities for other countries to increase their connections with Cuba and thereby damage U.S. business relations with the island and potentially U.S. national security. The foremost beneficiary of these U.S. changes has been Russia. On December 16, in Havana Cuba President Raúl Castro and Economy Minister Ricardo Cabrisas met with the head of Russian oil company Rosneft, Igor Sechin, for discussions about increasing Cuba’s purchases of oil from Rosneft and modernizing the island’s oil refinery in Cienfuegos. Also participating in the meeting was Mikhail L. Kamynin, Russian ambassador in Cuba. This May Rosneft started shipping some oil to Cuba, the first significant such sales since the early 1990s. The resumption of this relationship is in response to the U.S. hostility and discouraging U.S. business with the island and to the significant reduction of Venezuela’s shipments of such products to Cuba and the resulting shortages of fuel and electricity for Cubans. Other Russian beneficiaries are Avtovaz, Russia’s biggest carmaker; KAMAZ, Russia’s largest truck manufacturer; and Sinara, a large locomotive manufacturer. Next month Avtovaz will ship 300 new shiny Lada automobiles to Cuba and hopes to ramp up such exports, thanks to financing from Russian government development bank VEB. Last month Sinara delivered the first of 75 locomotives worth $190 million ordered by Cuba in 2016. Aleksandr Bogatyr, Russia’s trade representative in Cuba, said that there Has been a “renaissance” as he forecast bilateral trade could grow to $350 million to $400 million this year, one of its highest levels in nearly two decades, up from $248 million in 2016. A major obstacle to all of these deals is Cuba’s lack of cash and Russia’s own economic problems. Yet in 2014 Russia forgave 90 percent of Cuba’s $35 billion Soviet-era debt and started providing export financing to Russian companies looking to sell to the cash-strapped island. But this presidential document fails to acknowledge that this Russian involvement was precipitated, in part, by the Trump Administration’s own hostility towards Cuba and that a continuation of normalization of relations with Cuba would not have provided “operating space” in Cuba for “competitors” like Russia. Reuters, Cuba’s Castro and Russian Oil Executive Meet in Havana, N.Y. Times (Dec. 17, 2017); Raúl receives Igor Sechin, Granma (Dec. 18, 2017). Reuters, Cuba Boost Trade Ties with Cold War Ally Russia as U.S. Disengages, N.Y. Times (Dec. 19, 2017). White House, National Security Strategy of the United States of America (Dec. 2017). Posted on November 25, 2017 Categories History, Other countries, PoliticsTags Anthony Ruggiero, Bruno Rodriguez, Canada, Che Guevara, Choe Ryong-hae, Cuba, Cuba. United States of America (USA), Democratic Republic of Korea (North Korea), Fidel Castro, Foundation for Defense of Democracies, Ju Yong-gil, Justin Trudeau, Kim Il-sung, Kim Jong-il, Kim Jong-un, Miguel Diaz-Canel, Raul Castro, Ri Yong Ho, Salvador Valdés Mesa, Trump Administration, United NationsLeave a comment on Is Cuba-North Korea Cooperation Good or Bad for U.S.?